Begun in the 1890s as a legal way to keep African Americans from voting in southern states, poll taxes were essentially a voting fee. 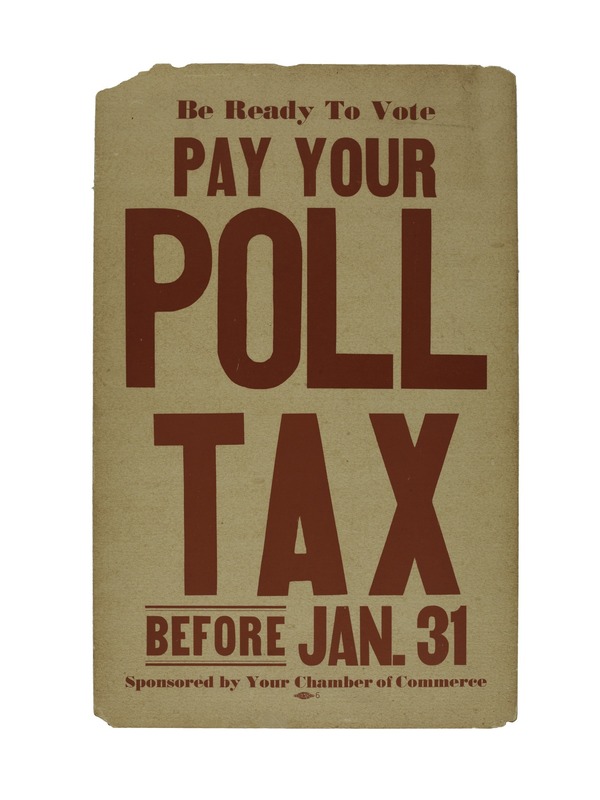 Eligible voters were required to pay their poll tax before they could cast a ballot. A “grandfather clause” excused some poor whites from payment if they had an ancestor who voted before the Civil War, but there were no exemptions for African Americans. 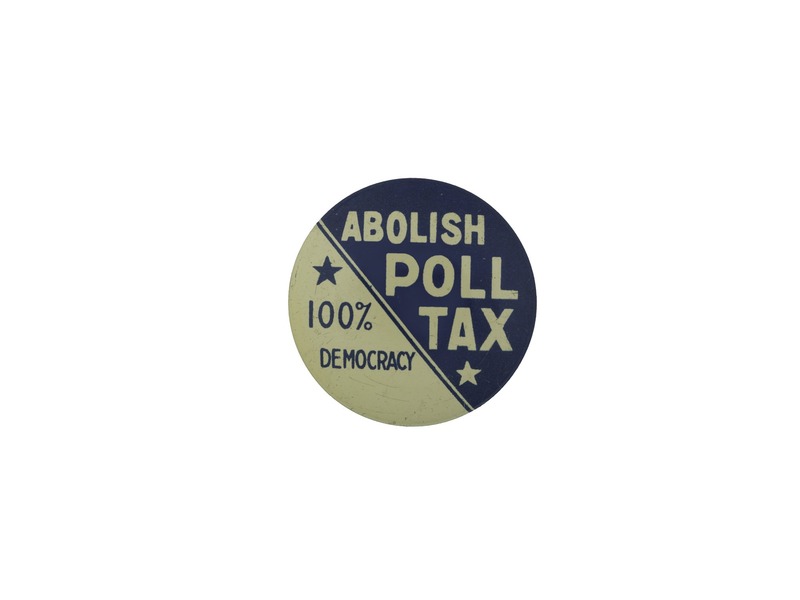 In 1964 the Twenty-Fourth amendment prohibited the use of poll taxes for federal elections. Five states enforced payment of poll taxes for state elections until 1966, when the U.S. Supreme Court declared them unconstitutional.